you already know there are no words that will ever come close to describing it. I am a bookworm. I have been all my life. When I was a little girl my mother was always telling me to go outside and play, while I hid in my room to read my books. At night when the lights were out, I would read with a flashlight under the covers. Now I am a woman with my head forever buried in books. I always have a book in my purse wherever I go. So when I reached my lowest point with hypothyroidism and worried I would never get back up, how did I climb out of that dark hole? How did I finally get to this point where I feel great despite hypothyroidism? The mainstream medicine protocol for testing and treating hypothyroidism focuses on TSH and Levothyroxine drugs like Synthroid. While this approach may work for some patients, it fails for many of us. We are all individual in terms of which treatment works best for us. Do your research. 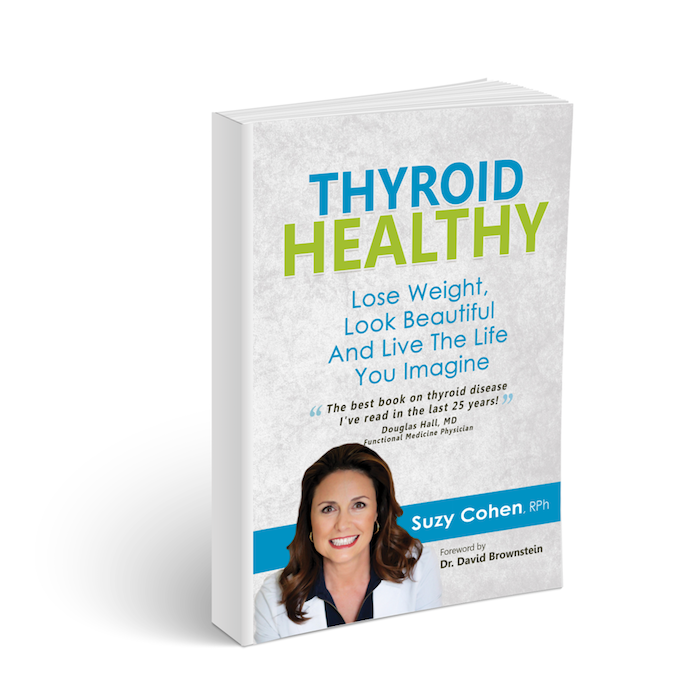 I love this book Thyroid Healthy, Lose Weight, Look Beautiful and Live the Life You Imagine . Suzy Cohen has appeared on Good Morning America Health, The Dr. Oz Show, The 700 Club, The View and The Doctors. 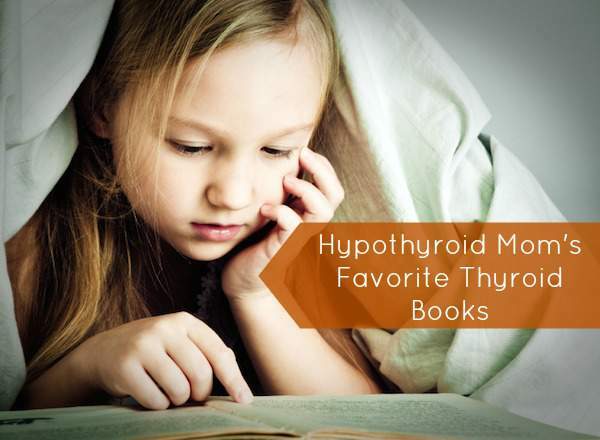 Thank you to Suzy for mentioning Hypothyroid Mom in her book. 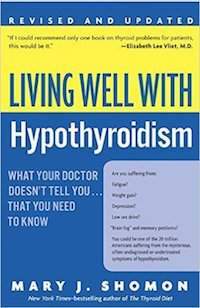 The very first book I ever read about hypothyroidism, and I’m so thankful that I did, is Living Well with Hypothyroidism: What Your Doctor Doesn’t Tell You…That You Need to Know. Hashimoto’s is more than just hypothyroidism. It is a thyroid autoimmune condition where the body mistakenly attacks its own thyroid gland. With this New York Times bestselling book Hashimoto’s Thyroiditis: Lifestyle Interventions for Finding and Treating the Root Cause every person will have the information they need to take charge of their Hashimoto’s. This is the first book I ever read on Hashimoto’s. Why Do I Still Have Thyroid Symptoms? When My Lab Tests Are Normal: a Revolutionary Breakthrough in Understanding Hashimoto’s Disease and Hypothyroidism provided me with a foundation to understand the autoimmune condition at play in Hashimoto’s. Dr. Amy Myers never wants anyone to go through what she had to go through with Graves’ disease. 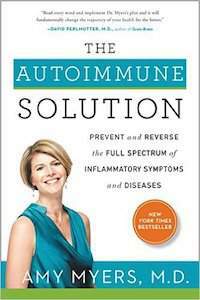 She shares her approach to autoimmune diseases including Graves’ disease and Hashimoto’s thyroiditis in her New York Times bestseller The Autoimmune Solution. The body relies on the adrenal glands located on top of each kidney to manage stressful situations. Our thyroid and adrenals are so intricately connected. Saliva testing for my cortisol levels revealed that I was struggling with adrenal fatigue. I recently finished reading a fabulous book by Dr. James Wilson and not only has it helped my hair loss but my energy levels have been improving day by day. Are you being treated for hypothyroidism, but you still don’t feel well? The adrenal glands located on top of each kidney help the body respond to stress. 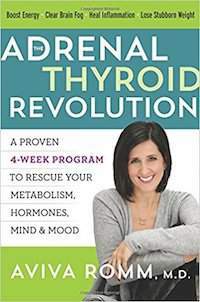 You will learn about this important, but often missed, piece of the thyroid puzzle in the book by Yale-trained physician Dr. Aviva Romm, The Adrenal Thyroid Revolution: A Proven 4-Week Program to Rescue Your Metabolism, Hormones, Mind & Mood. Medical Director at Cleveland Clinic’s Center for Functional Medicine and ten-time #1 New York Times Bestselling author Mark Hyman, MD, outlines his plan for fighting type 2 diabetes and obesity in his book The Blood Sugar Solution 10-day Detox Diet . For 16 years Jack Wolfson, DO, worked as a hospital cardiologist performing coronary angiograms and pacemakers. It became evident to him that pills and procedures were ineffective at preventing and treating heart disease. 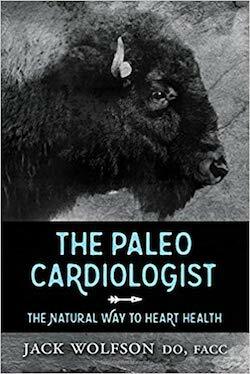 He outlines his natural approach in the book The Paleo Cardiologist. Manhattan psychiatrist Dr. Kelly Brogan poses this question: How much of what we are calling psychiatric pathology is in fact thyroid disorder? If you are struggling with mental health issues such as depression, anxiety, panic attacks, or bipolar, which book do I recommend you read? 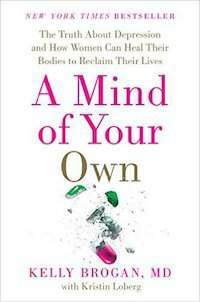 Hands down it’s this New York Times Bestseller A Mind of Your Own: The Truth about Depression and How Women Can Heal Their Bodies to Reclaim Their Lives. Dr. Fiona McCulloch has PCOS herself. Interestingly, she has discovered that many of her PCOS patients have suboptimal thyroid hormone levels. 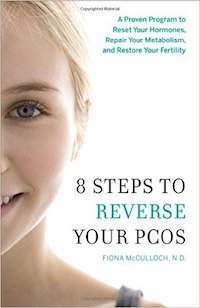 Her book 8 Steps to Reverse Your PCOS: A Proven Program to Reset Your Hormones, Repair Your Metabolism, and Restore Your Fertility is a must-read for every woman with PCOS. The day I lay on a medical exam table in early 2009 waiting for a medical procedure known as a D&C to remove my unborn baby from my body, I stared up at the ceiling tears streaming down my face. I had needlessly miscarried my child all because my doctors had not read the published guidelines on the treatment of hypothyroidism in pregnancy. I vowed that moment to research all I could about thyroid disease in pregnancy and warn women everywhere. 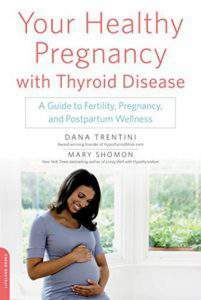 My vow was fulfilled the day my book Your Healthy Pregnancy with Thyroid Disease: A Guide to Fertility, Pregnancy, and Postpartum Wellness released June 2016 from Perseus Books/Da Capo Press with my co-author Mary Shomon. I can’t go back and change what happened no matter how much I long to do so, but what I can do is save babies in memory of my child. “The more that you read, the more things you will know. The more that you learn, the more places you’ll go.” ~Dr Seuss, I Can Read with My Eyes Shut!